This morning I was up early to accompany Green Party leader Natalie Bennett and London Assembly member Jenny Jones as they visited a ‘bunch of migrants’ (© David Cameron) in the Calais refugee ‘camp’ known – seemingly with good reason – as the Jungle. (Natalie and Jenny were following-up on their previous visit, in November last year). Queen Mary I is supposed to have exclaimed “When I am dead and opened, you will find Calais written on my heart”. And I imagine there are a fair few Afghans, Eritreans, Iraqis and Syrians who have uttered something similar – though for very different reasons. 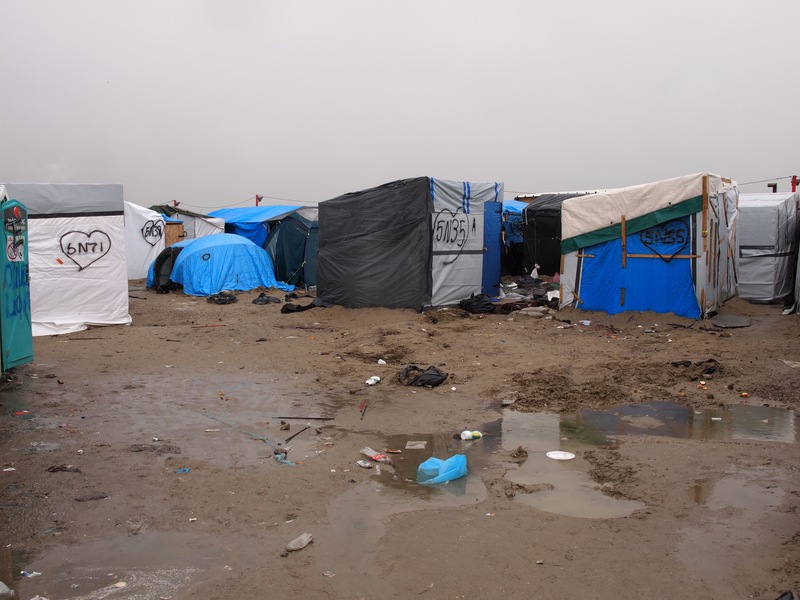 For the Calais camp is simply a hell-hole. Think ‘Glastonbury at its wettest’ (without the music and the fun) meets Apocalypse Now (without the helicopters and the heat). That last bit’s not strictly true, of course, as – in the striking (and shaming) absence of both governmental organisations and major aid agencies – an impressively-organised network of short- and long-term volunteers with French charity L’Auberge des Migrants and UK charitable fund Help Refugees provides aid to the 5,000 or more residents, including building shelters and providing material for migrants to build their own shelters, and distributing bedding, food and clothes. 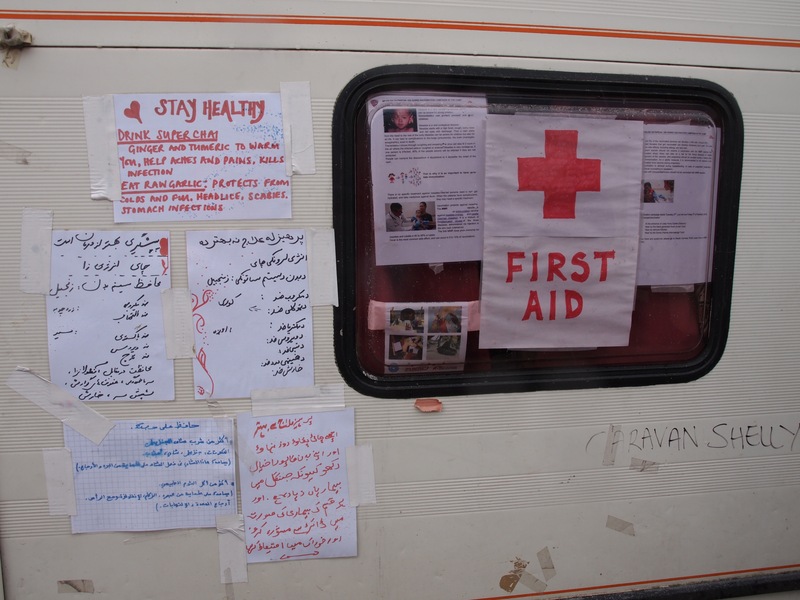 Help Refugees began as a grassroots social media campaign (#HelpCalais) in August last year, aiming to take a single truck-load of aid to Calais. Seven months later, the L’Auberge/Help Refugees operation – based in a warehouse a few miles from the camp – and that of other small-scale, volunteer-led groups is pretty much all that France and Britain – two of the richest countries in the world’s strongest economic bloc – can muster in the way of humanitarian concern. 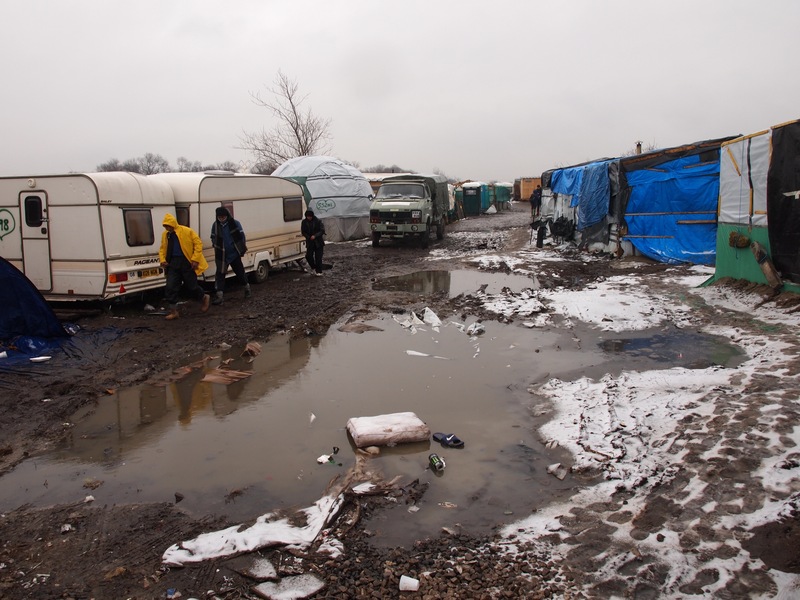 Living in this hell-hole, according to the L’Auberge/Help Refugees volunteers (most of them British), are “hundreds of unaccompanied children”. Kate – who draws sketches of residents and posts them on her Twitter account – showed us her sketch of a 12-year-old Afghan boy, whose aunt and uncle live in the UK; he’s been in the Calais camp for five months. Mary, a midwife, told us there are at least two babies, and at least six pregnant women. 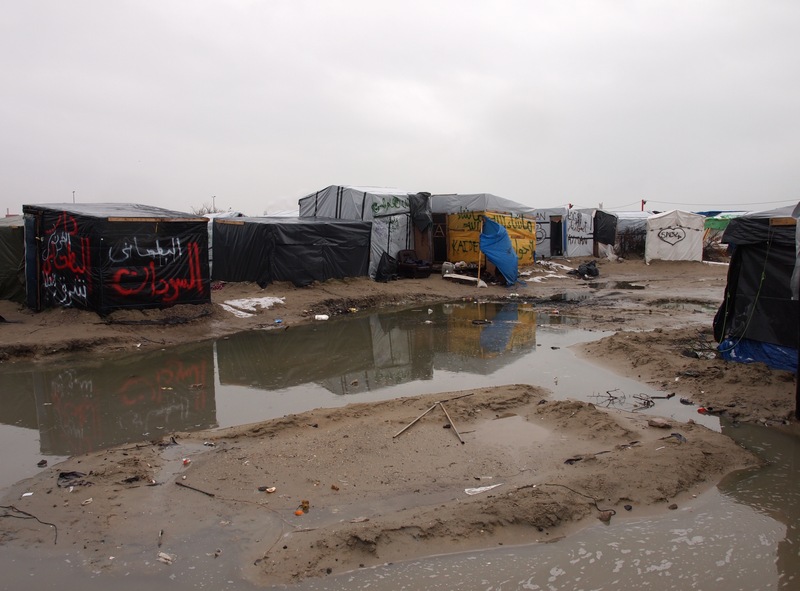 Earlier this week, in the Dunkirk camp some 20km along the coast – where, according to the volunteers, conditions are even worse – Mary had come across an Iraqi mother about to feed her baby from an unsterilised, barely even washed bottle. We had too-sweet tea with Mustafa in the make-shift ‘cafe’ he has painstakingly constructed during his eight months in the camp. Tomorrow, or the day after, or sometime soon at least, Mustafa’s ‘cafe’ (also his ‘home’) is set to be bulldozed along with the rest of the ‘cafes’, ‘shops’ and even ‘restaurants’ that fill his ‘street’. Mustafa will be left with nothing but a small bag of clothes and other possessions. That simply has to change – and the British government could make an immediate start by acting on the call of the Green Party and others to take in all the unaccompanied children from the two camps. In the meantime, you can support the L’Auberge/Help Refugees volunteers with a financial or other donation. 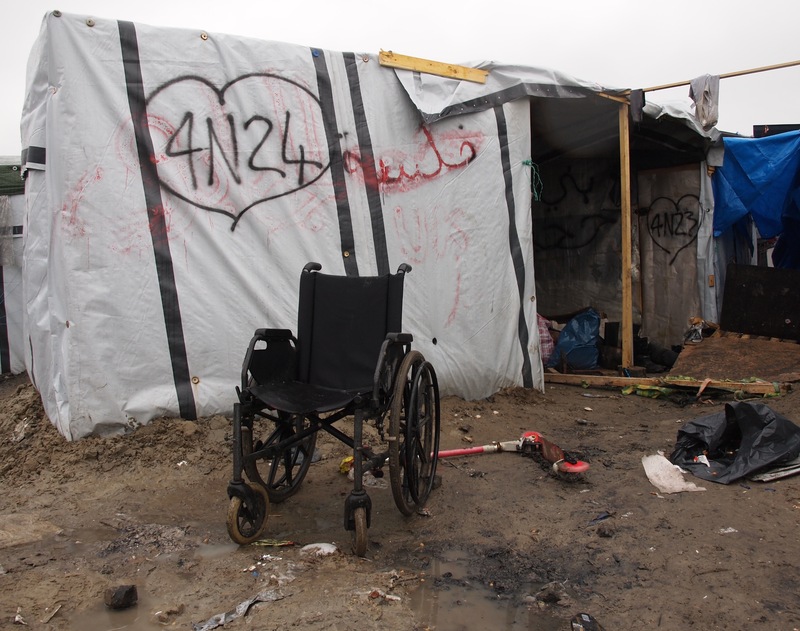 Contact them via: calaisdonations@gmail.com (or, if you’d like to offer your time: volunteerincalais@gmail.com). And you could sign this open letter to David Cameron. This entry was posted in Refugees and tagged Calais, Refugees, The Jungle. Bookmark the permalink.